Recently we received a call from a potential whistleblower wondering if she could file a false claims act case even though her employer managed to convince a local prosecutor to bring criminal charges against her. Unfortunately, we periodically hear stories like this. In almost every case, a “dirty” employer uses the criminal courts as a way to set up an employee for failure. The other scenario is an employee who participated in wrong doing and later decided to come forward to make amends. Before we address each scenario, the quick answer is “Yes” you probably can still receive an award even if charged or convicted of criminal activity. Don’t believe us? Ask whistleblower Bradley Birkenfeld who received a $104 million award after getting convicted of abetting a client’s tax evasion efforts. Birkenfeld provided information to the government about his employer’s, UBS Bank, tax evasion. His information helped the Justice Department collect a $780 million penalty from the bank. Sometimes a company uses criminal charges as a form of retaliation. If successful, the company gets rid of the whistleblower and discredits them thereby minimizing the possibility that they will file a claim. If that isn’t enough of an incentive, the tactic has a ripple effect throughout the entire company. Co-workers soon learn that if you make waves, the company can make your life miserable. Thankfully, tactics like this rarely work. Smart, ethical businesses know that nothing encourages whistleblowing more than retaliating against concerned employees who first try to bring concerns to the attention of management. While setting up an employee for failure and prosecution might scare some folks away, companies that choose this extreme tactic run the real risk that the whistleblower will have nothing to lose. Then the risks for the company are much higher as many falsely accused employees will take their concerns to the media or the government. The rules vary depending on the program but generally a whistleblower can obtain an award even if convicted of a crime. Things get tricky, however, if the criminal activity is directly related to the underlying violation. In practice, that is usually not a problem. Using a real life example, Brad Birkenfeld may have helped a client evade taxes but his actions were separate from his employer’s tax evasion. Some businesses and individuals use retaliation in an attempt to stop concerned workers from blowing the whistle. Retaliation can take many forms including trumped up criminal charges. 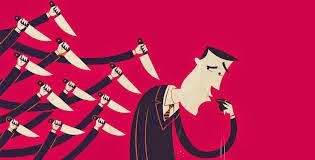 Whether you are facing false charges or truly did make a mistake and now want to make amends, criminal charges rarely bar whistleblowers from obtaining an award. In these rare cases, however, it is important to seek counsel as soon as possible, preferably before going to court alone. Think you have inside information about corporate wrongdoing or fraud on the government? Give us a call. We have represented whistleblowers in several, billion dollar cases. The author of this post, Brian Mahany, is the author of a new book on whistleblowing, Saints, Sinners and Heroes scheduled for release in early 2015.
or by telephone at 414-704-6731 (direct). All inquiries protected by the attorney client privilege and kept in strict confidence.